This week The Author CEO Naomi Blackburn talks about the importance of best practice: learn from the successes – and failures – Â of your peers. Most importantly, ensure that the techniques you adopt reflect your own goals and personality – don’t be a carbon copy! In business school, we studied the success of the Toyota Corporation as a model for ‘best practicesâ€ in business.Â When it came to the functioning and efficiency of their organization, Toyota was widely considered the belles of the ball.Â Other companies wanted to be Toyota; they thought that if they implemented Toyota’s programs, they would experience the same glory and success Toyota enjoyed. Problem was, when the companies tried to emulate Toyota, more likely than not, they failed to achieve that level of success. Why? Because they tried to implement procedures that worked for Toyota but they tried to do it in lockstep; they neither considered their strengths nor integrated Toyota’s best practices into their model. Let’s start at the beginning, with an explanation of best practice. Â A best practice is a method or technique that has consistently shown results superior to those achieved with other means, and that is used as a benchmark. In addition, a “best” practice can evolve to become better as improvements are discovered. Best practice is considered by some as a business buzzword used to describe the process of developing and following a standard way of doing things that multiple organizations can use. The idea is: figure out the practices used by successful companies and then find a way to integrate those practices into your own business model. Unfortunately, unlike other, older business units, self-publishing has no broad scale model for success. It’s an emerging business, with successful business models just now being defined. To figure out best practices, indie authors must do some sleuthing and stalking on their own. 1)Â Â Â RESEARCH: learn about successful AUTHORS (note more than one). Check the bestseller lists, read blog posts, pay attention to the books people are reading or authors readers are talking about, ask peers which authors they consider successful. Try to focus on authors who write in your own genre. 2)Â Â Â REACH OUT: this advice goes back to my ‘Play Nice in the Sandboxâ€ piece. Reach out to successful indie authors. Ask what they feel has contributed to their success. Learning from the experience of others will save you a boatload of time and frustration. Be polite: I have yet to be turned down by an Indie author when I’ve emailed to discuss their successes/failures. 3)Â Â Â READ: find published information; look at the networking sites successful authors use.Â These may include Facebook, Twitter, Linked In, etc. 4)Â Â Â STUDY: the webpages and/or blogs of successful authors. How have they set up these sites? How often do they post? What do they talk about? How do they interact with or engage their followers and fans? 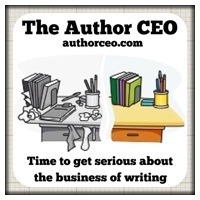 5)Â Â Â IDENTIFY: common traits among successful indie authors. What traits unite successful authors who write in different genres and appeal to different audiences? 6)Â Â Â ANALYZE your plan and figure out ways you can utilize the information you gleaned in your business and marketing plan and then MAKE IT YOUR OWN. I want to focus on number 6, MAKE IT YOUR OWN, for a moment, as I feel that this is the most critical step in the process. When I advise you to identify traits of successful indies, I am not suggesting that you copy verbatim what others authors are doing. By mimicking another author’s voice, platform, or means of reaching out-or any other specific trait!-you come across as derivative and fake. Â No, identify traits of successful authors, and then put your personal spin on them! Identifying common success traits and then simply applying them wastes man power, forces do overs and loses time you might have spent on the production and marketing of your own work. Instead, listen to your voice. Sure, you may emulate successful authors by reaching out as they do, but do so in YOUR way. Be yourself! Pay attention to the best practices of successful authors-and then identify your own strengths and use that knowledge to integrate best practices into your own plan!